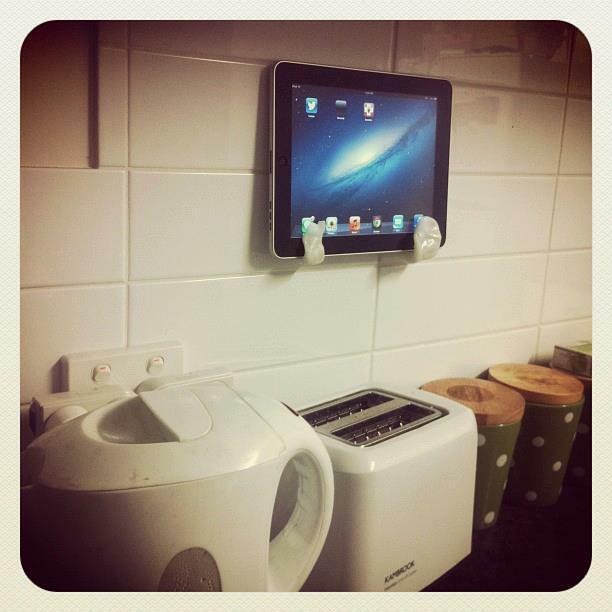 Leigh made an iPad wall mount using Plastimake. Wanted to make a wall mount for my iPad so i can listen to music and read recipes and freeing up bench space. Plastimake with the help of some 3M command strips work a treat! Great stuff Leigh, just make sure you move that toaster before you use it!